*Use method shown in main page.If seeds come out while breaking the bead, use seed ball method. *I took a big pot of a dia of 2 feet or more,planted around 25 broken beads and few seeds which came out while hitting the hammer with the nail inserted in Rudraksha beads. 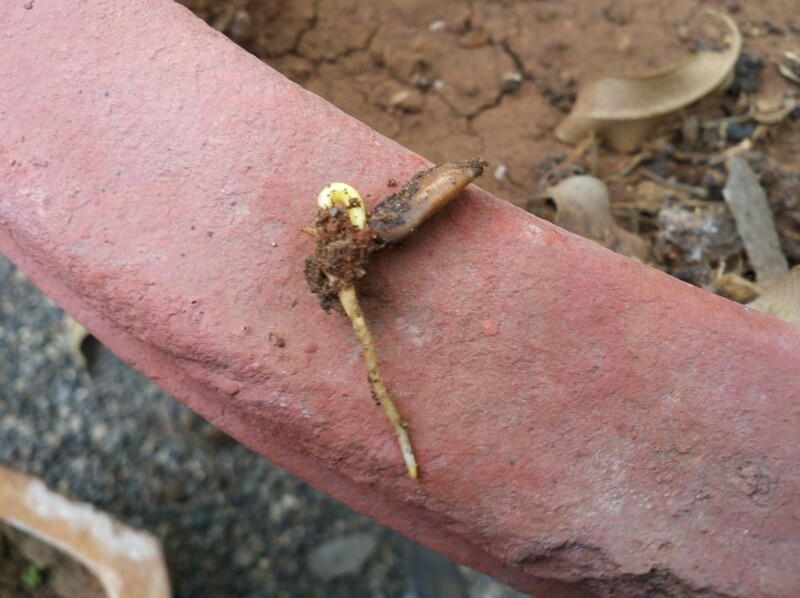 *It takes around 30 to 60 days when first germination took place in September-October 2012,weather was full of moisture in those days due to Monsoon.Time may vary upon the season you choose,remember this please and stay calm. *Water this pot to keep soil moist,many times I watered them twice a day.Remember all water should come out of the pot from the bottom hole and no water remain stagnant in the pot. *One can use different pots as well and when germination takes place plant will grow of their own.I took out the plants when they were of a size of 2 inches.I scratched soil around tiny plants while taking care not to damage small roots and lifted plants and put them in another pot and they are growing well. *Keep trying,you may use your own methods and keep posting your inputs for the benefits of others. *Use vise and hold the Rudraksha bead up-right and start applying pressure slowly turn by turn threw vise, slowly bead will develop cracks on the body shell, now let this cracked body bead have a bath in normal water for 12 hours and then sow this bead in a pot without cracking it with a nail and hammer method shown in this website. Now see images below, this is a germination in E.Ganitrus (Nepal Rudraksha)and this plant is so sensitive that if I move 8 baby plants out of 10 germinated in my pot, 6 fails to survive!! Very very divine and sensitive plant this is! I mostly lose this seedling as well which I took out from my pot to take pictures but my motto is to share as much as Information for next generations so God may allow this mostly. 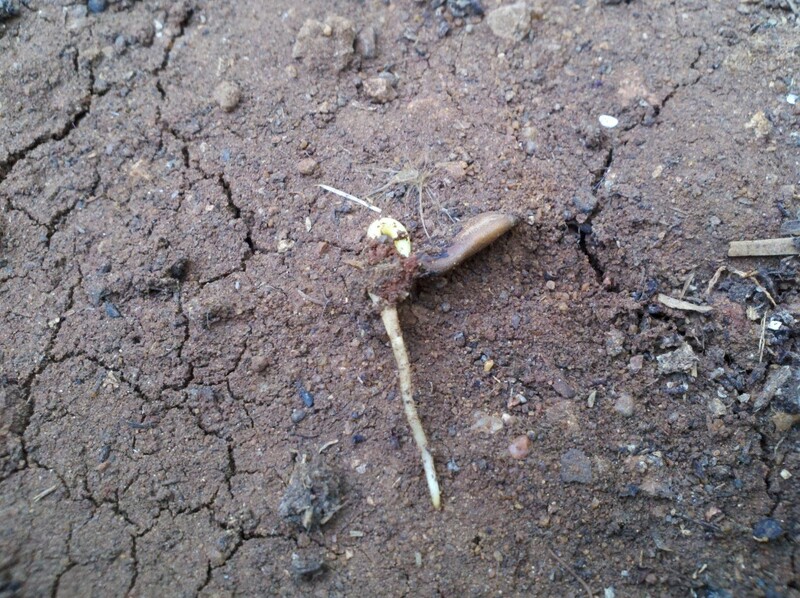 You can clearly see a developed seed in which leaves are sitting, a developing stem and a root system.